LEXINGTON, Ky., (Jan. 26, 2018) — Schools and environmental youth groups are invited to tour The Arboretum in Lexington to learn more about trees reducing the effects of climate change. The Kentucky Association for Environmental Education and Kentucky State University Center for Environmental Education have provided funds to keep the field trips, "Trees and Carbon Storage: How You Can Help Reduce the Effects of Climate Change," free for participating groups through June. The field trip is recommended for students in grades sixth through 12th and groups from 15 to 50 people. During their tour of the grounds of The Arboretum, the State Botanical Garden of Kentucky, they will learn about plant conservation and ecosystem services and how trees can help reduce the effects of climate change. They will have the opportunity to use professional forestry tools to measure the amount of carbon stored by Arboretum trees. In addition to the field trip, groups will be provided with a pre-activity that introduces the carbon cycle and a post-activity that will include adopting a tree. University of Kentucky’s Urban Forest Initiative is collaborating with The Arboretum on the project. Funding until June covers both tour and transportation costs, up to $8 per student. After June, the field trip fee will be $3 per person. Teachers and group leaders who are interested in scheduling a trip for their students can contact Gallimore at jackie.gallimore@uky.edu. The Arboretum, housed within the UK College of Agriculture, Food and Environment, is a joint effort between UK and the Lexington-Fayette Urban County Government. It is located at 500 Alumni Drive and offers 100 acres of trails, waterways, native trees, a children’s garden and exhibits. For more information visit The Arboretum website, http://arboretum.ca.uky.edu. 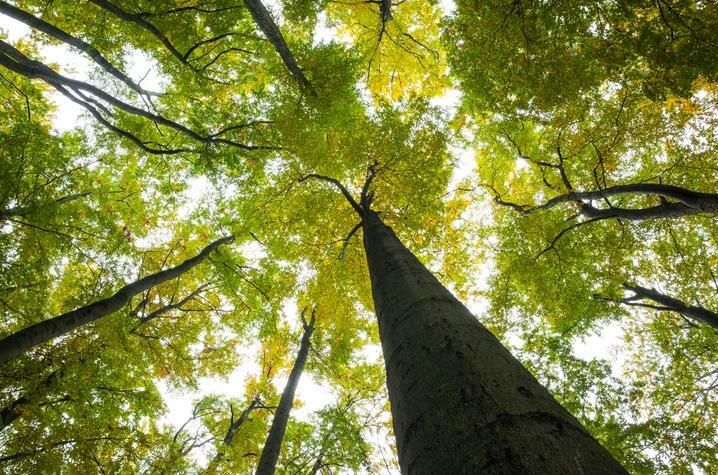 The Urban Forest Initiative is a working group of UK’s Tracy Farmer Institute for Sustainability and the Environment, whose mission is to advocate for and elevate the function, value and perception of urban forests in the Bluegrass region. More information about the Urban Forest Initiative can be found at https://ukntrees.ca.uky.edu/.